An apple a day keeps the doctor away, but not all the time. There is a test to determine if the apple that you bought from the nearest supermarket is safe for human consumption. The test or experiment revealed that some apples in our supermarkets may contain traces of petrol based wax. 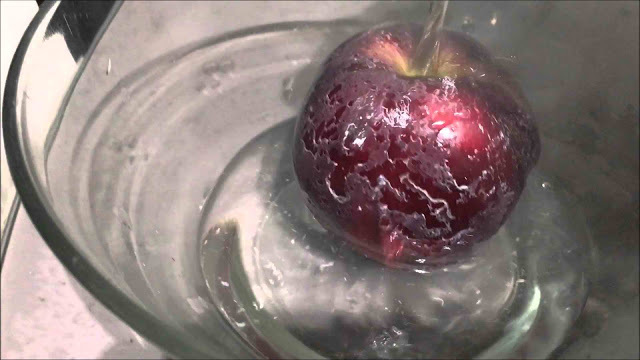 The result of the boiling water test varies on each apple. Some apples did not produce a white residue after the boiling water was poured, these apples just fell from a tree. While most apples brought from the supermarket or fruit stands produce white, powdery residue. 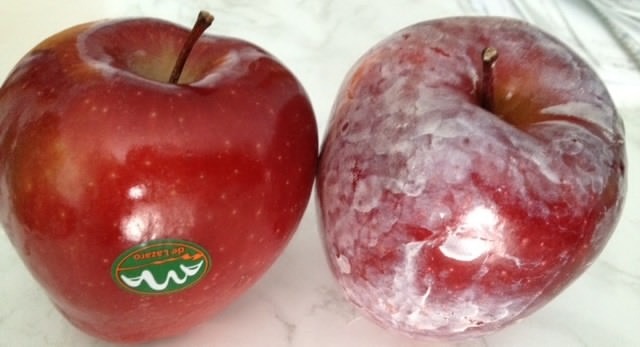 Apples naturally secrete waxes that produce their shiny appearance. Some people even have the habit of rubbing an apple on a cloth to make it shinier. The thin film of wax produced by the apple as it grows from a tree may absorb pesticides and preservatives based on nitrate and petroleum. The appearance of the white residue might be the indication that the apple contains traces of nitrate or petrol. Some people who prefer to eat their apples with the skin on it bathe it on baking soda and hot water for minutes before eating it. While some people who want to be sure that what they are eating is free from pesticide peel the skin thoroughly. The video below shows the infamous boiling water test.